Gate-Source Leakage Forward: 500nA max. Gate-Source Leakage Reverse: -500nA max. Zero Gate Voltage Drain Current: 250uA max. Static Drain-Source On-State Resistance: 0.045 ohm typ. 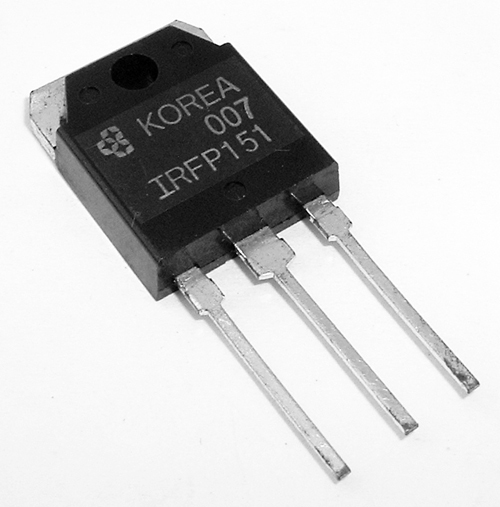 Continuous Source Current (Body Diode): 40A max. Pulse Source Current (Body Diode): 170A max. Diode Forward Voltage: 2.5V max. Reverse Recovery time: 530ns max. For reference only, we are providing a datasheet for this part number. Please note it is from an unspecified manufacturer. West Florida Components assumes no liability for this information.